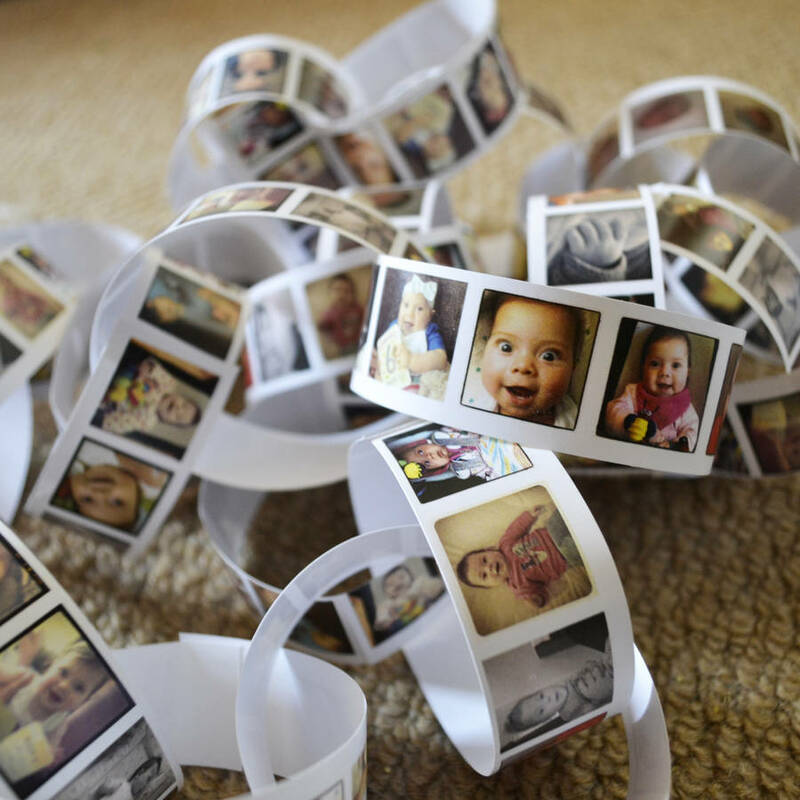 Create one long chain of charm with a number of your own photographs. A perfect decoration for any party. 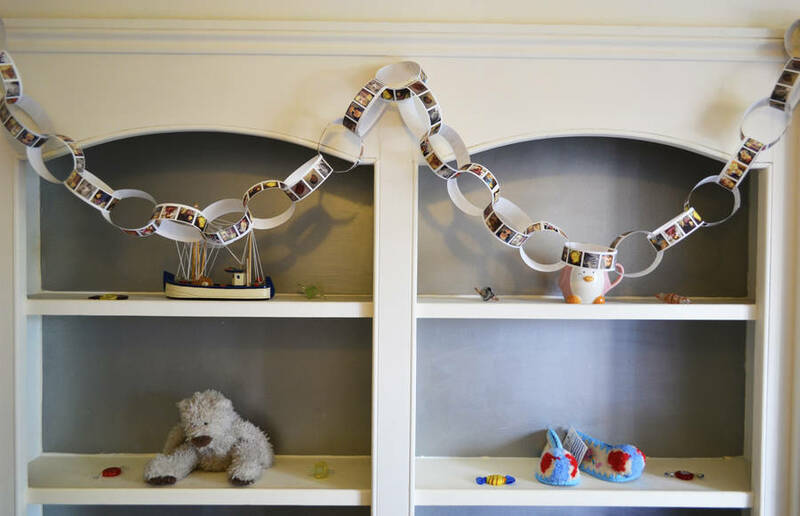 The humble paper chain, the ultimate old school party decoration! Add a bit of nostalgia to your party with this modern twist on the party classic. Send us anywhere between 1 and 18 images and we will use these to create 20 links for your chain with 9 images on each. A crowning decoration for birthday parties, weddings, baby showers, engagements, christmas parties or any other celebration! Each link in the chain comes with its own adhesive tab for easy construction. Please note. 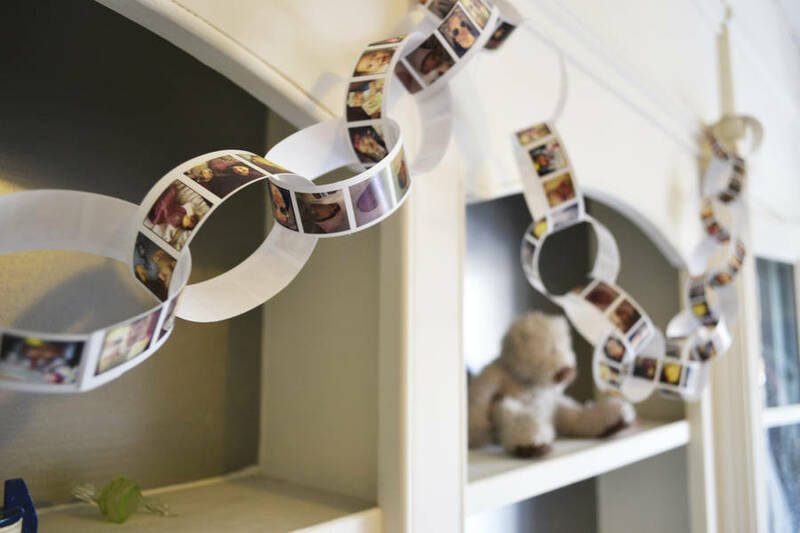 The paper chains come as an easy flat pack kit that requires assembling into loops with the adhesive strips once recieved. The photo strips equate to 12m of paper chain once assembled. Gloss paper with adhesive tabs. Overall chain length is 12m, made up of 2.5cm strips making a chain link diameter of approx 6cm.